How would you handle being underfed, overworked, naive,unequal and absolutely controlled? Would you feel like all your work was beingdone for the good of someone else? What if you had evidence you were being liedto, which disappeared or was changed? What if you became trapped by an absoluteand supreme leader? The animals of Manor Farm know all these feelings.They want a community for the animals, by the animals, where all are equal andwork is done for the good of the animals. Old Major, a wise old pig, holds thisview of the perfect society for animals, free from human oppression. He tells theothers about his dream for a better life for all, and says it cannot be reacheduntil Mr. Jones, the owner of Manor Farm, is overthrown, ending his era ofcruelty, slavery and mistreatment. But before this utopia can be created, OldMajor dies. The revolution continues. The animals kick the humans off thefarm and seem to be on the road to a perfect existence. But two pigs attempt tograsp power. Will their struggle end with perfection, or will life remain what ithad always been for the poor animals? 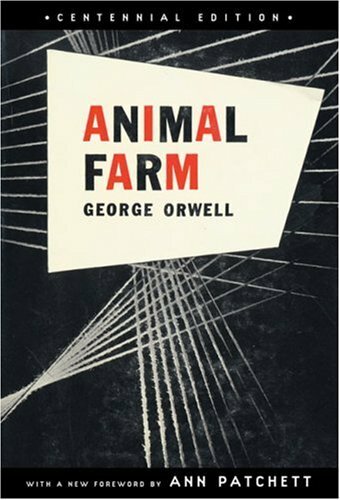 George Orwell wrote Animal Farm toinform the public of the potential corruption of communism and the totalitarianstate of government. The book is an incredible extended metaphor that will informyou of your most important asset, your freedom. Equal in weight, equal in size, equal in everything but my eyes. Love is a dark red world of pain with lightning flashes of happiness.